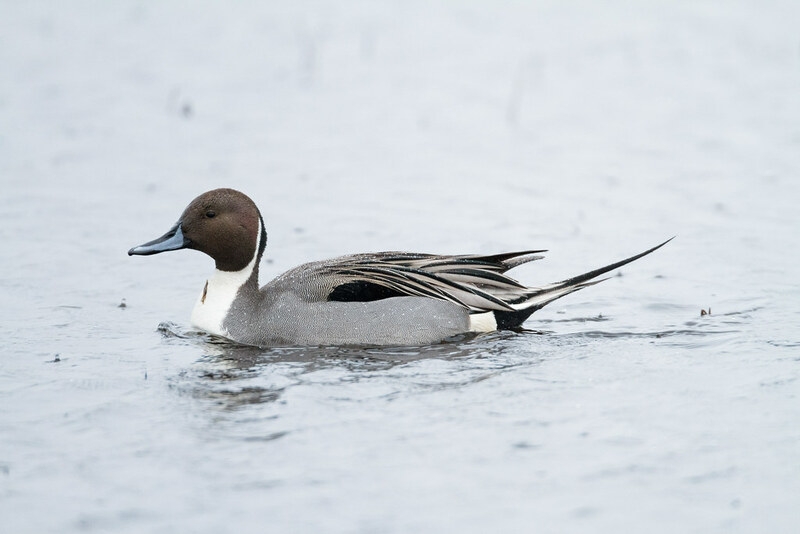 A male northern pintail swims across Rest Lake on a rainy winter afternoon, his back covered in tiny water droplets from the gentle rain. 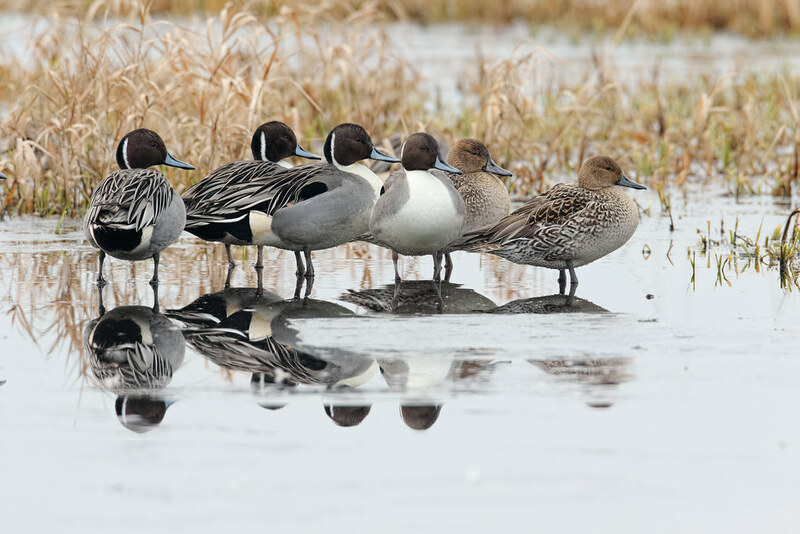 Six pintails stand amidst the melting ice of Horse Lake. 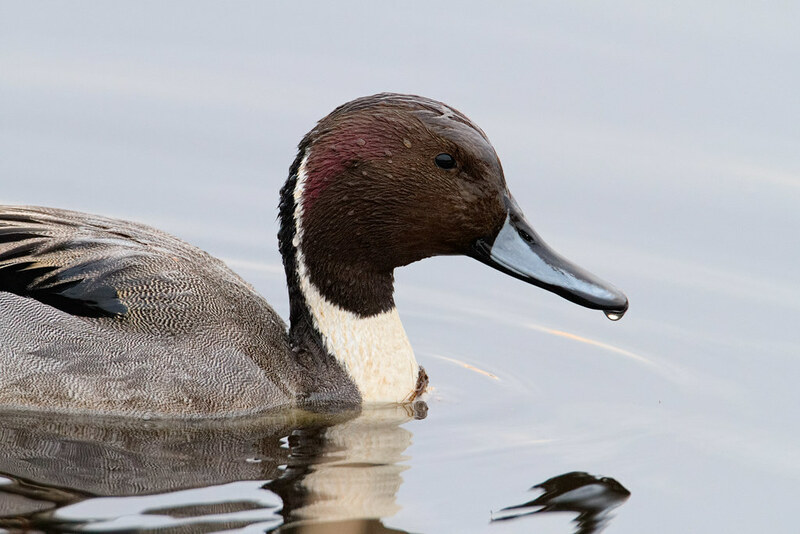 They reminded me of teenagers lined up along a wall at a dance, a little too nervous to take to the dance floor, especially the males who looked like they were decked out in formal attire. 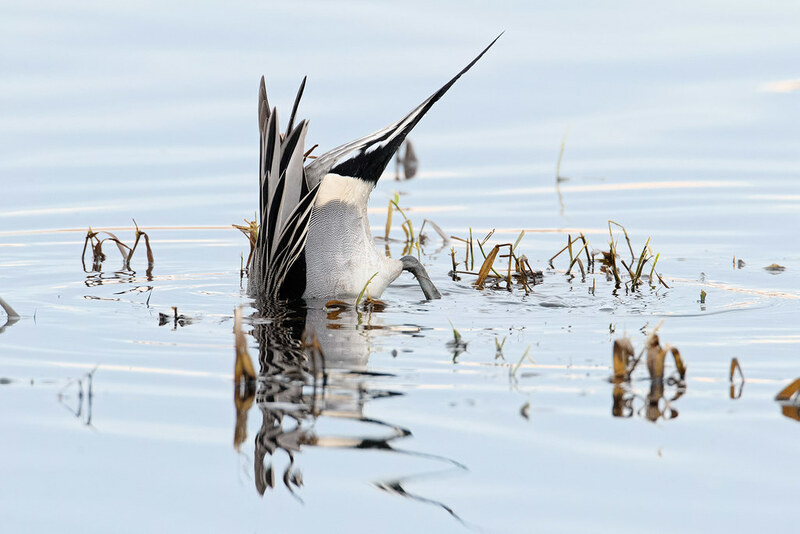 In truth they were a little ill at ease and anxious for the ice to finish melting, as they are as awkward on the ice as they are graceful in the water. 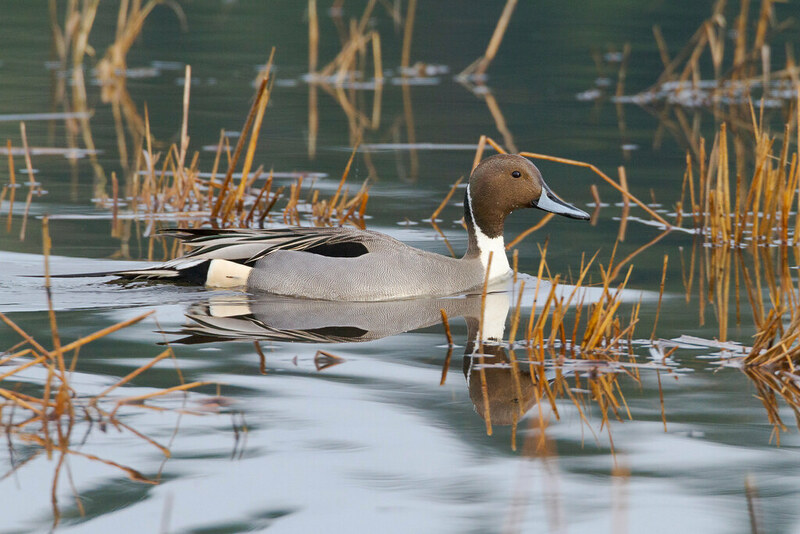 The pintails on Horse Lake often keep their distance but sometimes you’ll get lucky and they’ll swim close to the shore, such as this handsome drake on New Year’s Eve.